Gather round ladies and gents, as today marks the premier of a new monthly series here on AuthorAlden.com that I've been mulling over for quite some time. From now on, the last Monday of each month will bring the Speculative Spotlight, where I'll be talking about a book, movie, television show, or video game that I deem to be a worthy representation of awesomeness in the world of speculative fiction. Today, I'll be examining a franchise that is quickly becoming my favorite depiction of the coming zombie apocalypse, The Walking Dead. Chances are most of you know The Walking Dead from the hit AMC incarnation that is currently smashing cable TV ratings records in the Unites States, and with damn good reason. But it all began with an Eisner Award-winning comic book series created by Robert Kirkman for Image Comics. Kirkman originally pitched his idea for a zombie apocalypse series as a Night of the Living Dead reboot. George Romero's classic film is considered a public domain work, which means anyone can distribute the movie or create derivative works without breaking any copyright laws. However, when Image saw Kirkman's ambitious plans for the story, they decided to greenlight the project as an original series instead. Thus, The Walking Dead was born. The story of both the comic book and the television series revolves around former Kentucky police officer Rick Grimes, who wakes in a deserted hospital after being wounded in the line of duty. He soon finds out the hard way that the world has become a much different place while he lay comatose in that hospital bed—a mysterious plague has made ruins of his home, bringing the infected back to life as mindless zombies walkers, feeding on the flesh of the living. He eventually leaves town in search of his wife and son, who he hopes were evacuated with the larger population when the calamity struck. The long journey that follows is an emotional roller coaster, both for Rick and the audience at home. It's no secret that I'm a fan of zombie stories, so it shouldn't come as any surprise that I love both incarnations of this series (I've yet to play the video game, though I hear it's fantastic as well). 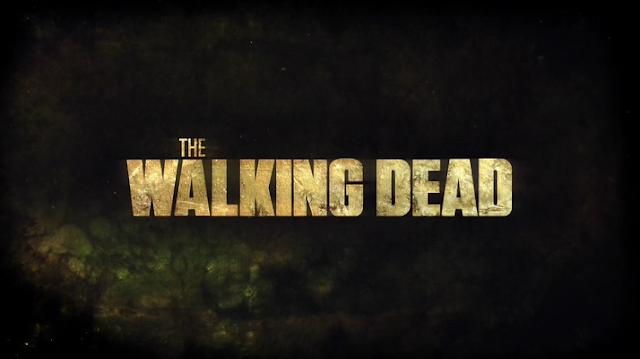 But what really sets The Walking Dead apart from others in the genre is its commitment to character drama. The focus of the story is less about the zombie apocalypse itself than what it does to Rick and the other survivors he encounters, how it changes them and their relationships as they struggle to survive and cope with leaving their old lives behind. It's a gritty and realistic portrayal of what might happen to ordinary people and their sense of morality when faced with such extraordinary circumstances. It's a fitting approach, considering the story's original association with Night of the Living Dead. Compelling character drama is something that many of the Romero imitators (and occasionally Romero himself) have missed over the years, despite the fact that the source of their inspiration was definitely more about the diverse cast of characters who found themselves boarded up in that old country house than the nightmarish ghouls banging on the windows outside. After all, you can only see so many brains get eaten before it gets a little boring. But Kirkman seems to have known from the get-go that his story would be about people, not zombies. It's even outright stated in the comics that the title of the series refers not to the shambling zombie hordes, but to the survivors clinging to life as the world around them falls to pieces. It's this character-driven nature that is likely so attractive to the mainstream audience that has come to embrace the television show. In fact, I think I can personally attest to this, as my girlfriend loves the show as much as I do, and she is most assuredly not a zombie fan. So if you're in the same camp that she once was, shying away from this excellent series because you didn't think it would be your cup of tea, you may want to reconsider. The television show is currently in the middle of its third season, but you can catch up on what you've missed on Amazon or Netflix. At the very least, it might prepare you for the approaching zombie apocalypse. December is right around the corner. Don't say I didn't warn you. I'm hoarding Kit Kats for the coming zombie apocalypse. I couldn't live without them. So if I squeak through the turning, I have one of my joys in life with me in my locked basement. Oh how I hope our dogs don't turn. I lost track during the end of the first season and will play catch-up on NetFlix soon. The first season was great, but it gets really good in the second season. No spoilers, but one of the coolest buildups of tension (and culminating release of said tension) that I've ever seen in a TV show takes place in the second season. No cable at home, so I'm going to have to find a good site to watch the current season... Loved the first two. Can't wait to catch up on this season! It's been a great season so far! This season is tackling one of my favorite storylines from the comic series. I'm dreading the mid-season break that's coming up. That's too bad, Vero! You're missing out. Hopefully it makes it over to your neck of the woods at some point. If you loved 28 Days Later, you'd probably really like The Walking Dead. It kind of reminds me of an Americanized 28 Days Later at times, considering the focus on character and morality. The trouble even starts with the main character waking in an abandoned hospital. I am a huge fan of this show too! It's the one show my hubby and I watch every week together. I love watching a zombie show take the world of ratings by storm. I read last week that it was #1 from 18-49 demographics -- a new record in the world of tv. I agress that the characters are what really drives the show, as well as the questions ot morality in this new, dangerous world. I also love knowing that no character is ever safe. You never know how is going to bit the bullet! Have you read As The World Dies? They are awesome zombie books that have some of the most amazing charactrs I've encountered in genre fiction. I haven't read As the World Dies, but you're not the first to recommend it to me. I'm actually not very well read when it comes to zombie stories in the written world, which is strange, I suppose. I'm a big zombie movie junkie, and to a lesser extent, a zombie comic junkie, but I haven't read many of the novels out there. That might be something I look to change. Crazy fan here. The series has taken a few wild, twisty turns this season! It has! They're tackling my favorite storyline so far from the comic series this season, and I like how they're handling it. I love that they aren't following the comics as a strict blueprint, because it still allows me to be surprised with the twists they take. Zombies freak me out, dude, you have no idea! I heard how well the show was doing though. I was about to write this off when you mentioned that part about your girlfriend not being a zombie fan. Maybe I can watch one episode...with the lights on in the middle of the day. ...wait, no. I just watched the video. I'm scared. Can't do it. Lol! Haha, well I suppose I can't blame you there. But in the world of The Walking Dead, a lot of the human characters are scarier than the zombies. The zombies are this force of nature that the characters have to deal with in addition to the all of the character conflict that the show revolves around. I LOVE this show. It's one of the few I'm willing to walk away from my writing for. I agree with you about the characters, too. The zombies are a side plot. It's the character arcs that is/are the main plot. ALL of them. I'm with you on that one. I generally don't watch much television at all, but this show has me hooked. In fact, I'd say there are really only two shows on television right now that I watch religiously, and that's The Walking Dead and Game of Thrones. And both are very character driven shows. I am bold in saying this: as far as TV dramas go, I think The Walking Dead has some pretty sloppy writing. Yet, I still find the show engrossing by its dark atmosphere, attention to detail, and some stellar performances. Oh, and I will forever be Team Shane. That's interesting, magicmint. I wouldn't mind some elaboration. I will say that the comic book series features much better character development than the show, especially early on. Comparing some of the characters from the television show to their comic versions, there are some that just haven't been written as well on the screen (*cough cough* Lori *cough* Andrea *cough cough*). I will say though, that Shane is the exception there. Shane's entire character arc is much better in the show than in the comic. In the comics, The Shane Event happens way before they even get to Herschel's farm. Thanks for the comment, magicmint!